Kava is a native plant taking its "roots" from the pacific islands. The Latin word is Piper Methysticum and is part of the pepper family. Only the root part of the plant is used. The leaves and stems are poisonous. There are many ways to prepare kava but the most common one is to sun dry the roots and then grind them. It makes a mild inebriant beverage that is relaxing for the mind and body. Kava has been used for more than 3,000 years in the Pacific islands and was drunk during ceremonies, at social gatherings and for therapeutic means. There are many different varieties varying in potency. Nowadays kava can take many forms i.e. extracts, paste, instant drinks, pills. The kava plant doesn't propagate itself and needs the help of humans. We should be very grateful for the ancients to have enabled us to enjoy kava. Drinking kava, the effects can be felt quickly, first with a numbness of the lips, tongue and throat, then comes a feeling of calmness and well being. After 5 to 20 minutes the mind expands and thoughts become clear and positive; thanks to the kava lactones, the chemical components that make us feel good. Kava promotes meditation and creativity. For those who know "The Secret" and follow its principles, kava is a great complement! As many of you know, the kava shortage has affected prices and supplies of much of our kava. Severe storms a year ago destroyed much of the kava crop in fiji and it is expected to take 2 or 3 years before prices and supplies stabilize again. The Kava Kwik was one of our more popular products but we have no had it available due to these supply and price conditions. 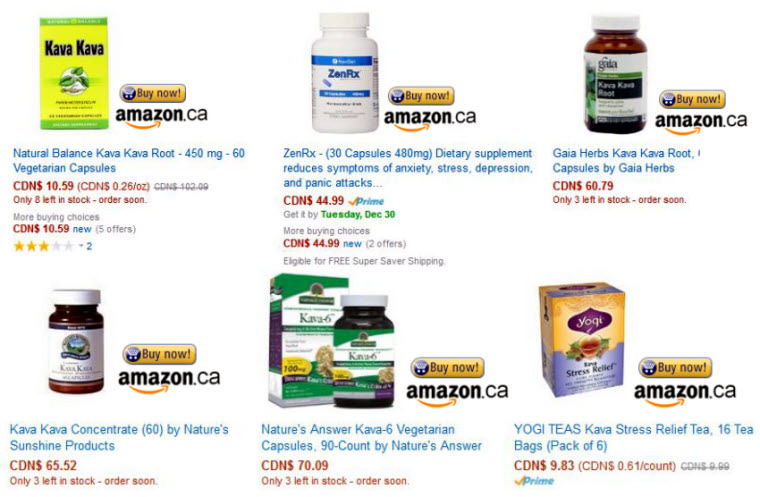 We will keep you informed on the availability of the instant kava and in the meantime we've been looking at alternative sources for kava fans in Canada. We found one Kava Instant Powder from Tonga that we have not yet tried but thought we'd mention it in case you were interested in sampling it. 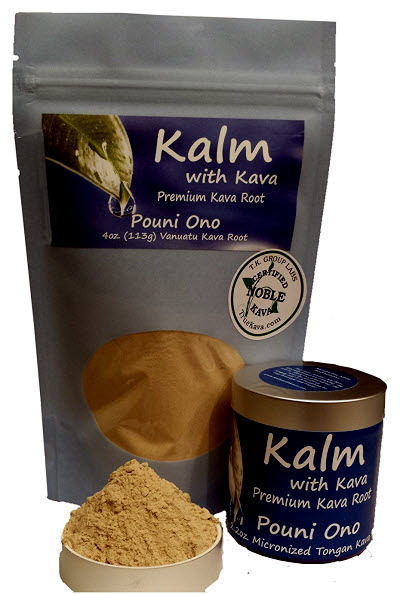 The micronized Pouni Ono instant kava comes in 113 gram pouches and is available through Amazon in Canada here. If any of you try it we'd love to hear your feedback!